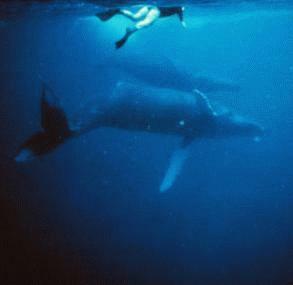 "The Amazing & Wonderous Humpback Whale"
encounter with a humpback was shortly after I had moved to Hawaii in '82. My daughter and I were sitting on the sea wall talking and suddenly I saw something huge and dark out of the corner of my eye. 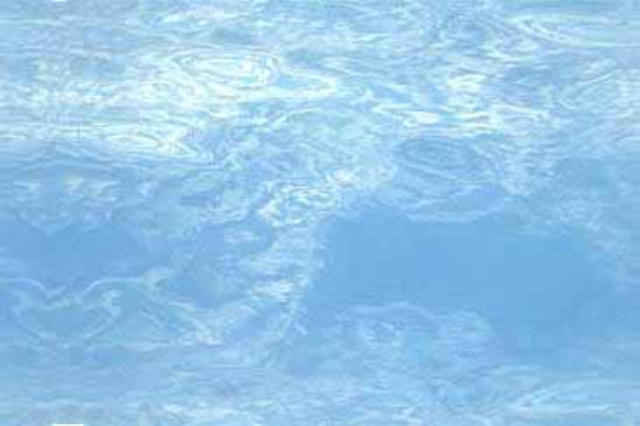 When I turned to look all that remained was a huge splash of water. 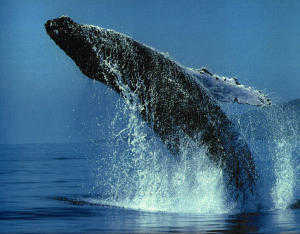 As we sat there with our mouths hanging open, up it came again, a very large humpback whale in a full upright breach! It was magnificent. Before I realized what I was doing my hands came together to applaud. It was just so awesome! The show went on for another 15 minutes with her calf joining in, then up went the tail flukes and she was gone. I got into scuba diving a few months later and got to see many more awe inspiring displays by these great and gentle giants. In Hawaii humpbacks can be sited in shallow coastal water, usually less than 300 ft. As the islands are actually enormous undersea mountains (the Big Island from the sea floor is around 30,000 feet), the land drops off rather dramatically which means at times you get to observe them quite close to shore. 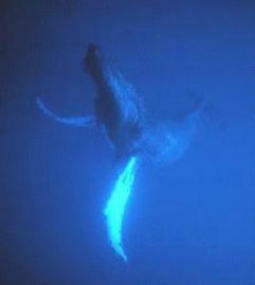 My next magical humpback experience was the first time I heard "The Song". It was during my scuba certification class through Jack's Diving Locker on the Big Island. I felt so privileged and completely blown away! I was sure they would appear any moment not realizing they may have been 5 to 10 miles away. The only story I ever heard of aggressive behavior was that of a rather pushy photographer who got a bit of a "fluke slap" from a mother that didn't appreciate him getting so close to her baby. When he told me this story he pointed out that whales are very intelligent creatures and he felt she had purposefully gone easy on him. It is actually illegal to approach them, but they have been known to rather fearlessly approach boats and occasionally snorkelers. I've seen several of them "frolic" around moored or drifting boats. It's quite a show. The ocean around the Hawaiian Islands is one of the most important Pacific Humpback Whale habitats as it is the only place in the United States where Humpbacks reproduce. 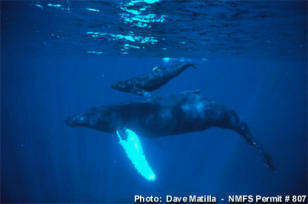 Humpbacks migrate from near the poles where they feed, to tropical and subtropical waters like Hawaii where they come every year between November and March for breeding, calving and nursing activities. 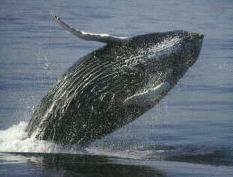 About 3,000 to 5,000 humpback whales migrate to the Hawaiian Islands every year. 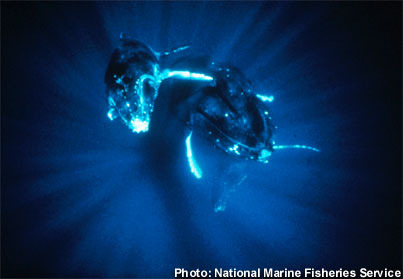 Sadly this is estimated to be two thirds of the entire North Pacific Humpback population. 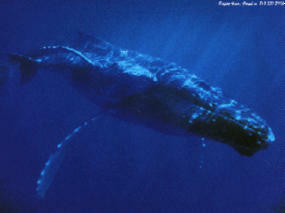 The attitude toward the humpbacks in Hawaii is one of respect and admiration. It is so sad to know that in other parts of the world they are still being murdered and maimed; and then there's pollution which is a world wide problem. Check out some of the links below for more information about marine life and our eco-system to see what we can all do to help solve these problems!